“How are you feeling?” It is a question that doctors ask in exam rooms every day. After surgery, patients are often asked to assess the success of the operation, and help alert their doctors if something is wrong. While many surgeons seek patient perspective, a new study looked into how often patients report problems with spinal surgery results, and compare surgeon-rated and patient-reported complications. 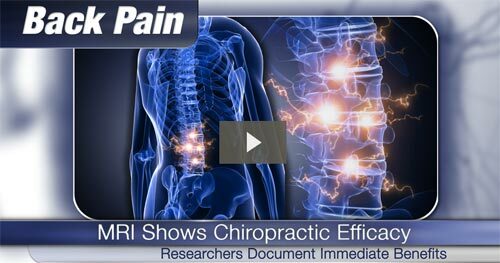 The study included 2,303 patients with painful degenerative lumbar disorders. All of the participants had surgery in a Spine Center of an orthopedic hospital. Patient questionnaires were administered to these surgical patients before surgery and again three months after surgery. Researchers also reviewed surgeons’ reports of complications, both before discharge and at the first postoperative follow-up appointment, between 6 and 12 weeks after surgery. Of the 2,303 patients, 615 (27%) reported complications. But the surgeons only documented complications in 19% of patients. Furthermore, the severity of the problems experienced by most of these patients was not minor. Patients reporting complications were asked to rate how “bothersome” the complications were. One percent answered, “not at all,” but 22% were slightly bothered, 26% were moderately bothered, 34% were very bothered, and 17% were extremely bothered. What kinds of surgical complications did these patients suffer from? Sensory disturbances were the most common issue, followed by ongoing or new pain, wound-healing problems, and motor disturbances. Previous research has shown that surgery for degenerative lumbar disorders is no more effective than more natural and less risky interventions. 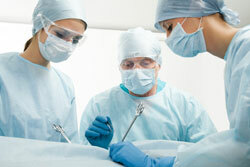 The researchers concluded that surgeons should seek patient perspective in assessing the complications from an operation. A successful outcome from a surgery cannot be fully assessed without understanding both the surgeon’s and the patient’s perspective. Mannion A, Fekete T, et al. The assessment of complications after spine surgery: time for a paradigm shift? The Spine Journal; published online 25 March 2013. Written by: Kelly Johnson on March 27, 2013. Last revised by: Marissa LuckMarch 28, 2013.